Bitcoin is not going away, the digital currency's developers say, and they're craving more technically savvy people to support its use. "Our bottleneck is not new code, it's code review and testing," said Gavin Andresen, chief scientist at the Bitcoin Foundation, which provides most of the core back end development for the currency. The foundation, which currently just has two full-time staff members, wants more help on the coding side as it eyes future Bitcoin-related services like enhanced security features on mobile wallets. Ideally, the foundation would bring on a lead quality assurance and project manager full-time, Andresen said, but having other code-savvy people who could test and review new features for Bitcoin is also key. Many of the development projects can be found on the GitHub hosting service. "If you want to make developers happy, start reviewing their requests [on GitHub]. Start testing. Say, 'I tried this,'" Andresen said. Bringing on more developers makes sense to support new Bitcoin services, but having a more robust backend could provide other benefits in helping to thwart cyberattacks. Mt. Gox, the largest Bitcoin exchange, was hit with a denial-of-service attack in April. 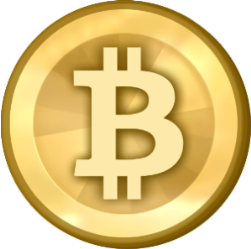 Bitcoin is a digital currency managed and traded on a peer-to-peer computer network. Andresen, along with countless others, are banking that use of the currency, which is meant to be a decentralized form of payment not regulated by financial institutions or the government, is going to blow up in the months and years ahead. Because the currency is unregulated and it is obtained through a variety of online exchanges as well as by "mining" with hardware, it is difficult to determine exactly how many people use it. Some say the total number of global users is on the order of millions, with hundreds of thousands more expected to begin using it over the next couple of months. It is estimated that there have been 18 million transactions in the four years since Bitcoins were introduced. A variety of online retailers as well as brick-and-mortar stores are now accepting Bitcoins. 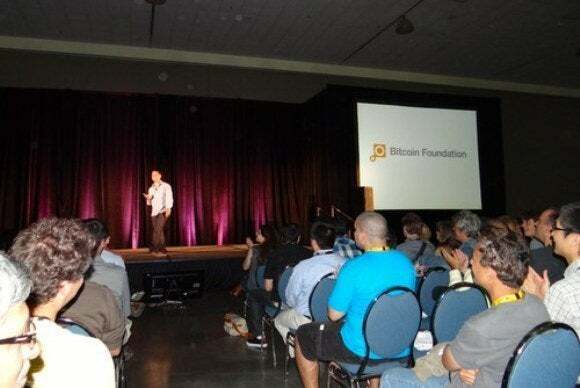 The Bitcoin Foundation made its calls for more coding help during the first Silicon Valley conference devoted to the currency, which is taking place this weekend. But there are other groups too in the growing Bitcoin industry who are also looking to bring in more hands. One player is Armory, a desktop application for managing Bitcoin funds that sits on top of the user's primary Bitcoin client, which is known as the "Satoshi Client." "I struggle just with not having enough people testing," said Alan Reiner, Armory's core developer, to a packed room of developers, Bitcoin enthusiasts, venture capitalists and other industry players at the conference. "At the moment I am just one person developing Armory," he said. "If nothing else I just need more people to give me feedback." "Bitcoin is real, and we need real people and real developers to get involved, not just people spending a couple hours in their free time," he added. Others agreed that Bitcoin's growth necessitates more technical hands on deck. "Little tasks like writing test scripts, test plans ... Those sorts of things are not super brainy, algorithmic heavy research, but we desperately need that sort of stuff," said Jeff Garzik of BitPay, the leading Bitcoin payment processor. "Bitcoin is growing up," he added. The Bitcoin Foundation, meanwhile, also wants to focus on mobile, as more people gravitate toward smartphones and tablets in lieu of desktop computers. One action item is to make Bitcoin wallet applications, which are already available on mobile devices, more secure, possibly through a two-factor sign-in process similar to what Google and other large companies offer. The idea is based on a "shared wallet," so the user would open a Bitcoin wallet account on his or her desktop computer, then a message would be sent to the person's smartphone to confirm the identity of the account holder. Providing more streamlined Bitcoin services on bandwidth-constrained mobile devices is also a goal, the foundation's Andresen said. The hope is that all the added technical support and developer assistance will position Bitcoin for further success, well into the future. "Maybe by 2020 we'll be nice and Zen and calm," said Andresen.